Being the photographer at Nigel and Eliza’s St Eltheldreda’s Church wedding was both fun and photographically challenging. The planning for their London ceremony started from their home in Singapore. They knew they wanted documentary style of photography with minimal orchestration. They also knew they needed a photographer who could work well in very low light. Although there are many difficulties associated with working in low light, it’s one of those photographic challenges that I love. There’e great ambience and atmosphere at a venue with little or no natural light. But that can be killed by a photographer who introduces their own light in the form of flash guns. St Eltheldreda’s, the oldest Catholic Church in England, has a spectacular stained glass window depicting five martyred monks. But the interior can be pretty tricky to photograph. The lighting almost becomes irrelevant when there’s great moments to capture, and there were plenty of those. Following the ceremony, the newly weds walked through a deserted City to the reception venue at Hawksmoor where a fantastic wedding breakfast was served. Hawksmoor may be one of the best steak restaurants in London, but it’s also one of the darkest. My struggle continued to maintain the atmosphere in the photography without using excessive lighting. 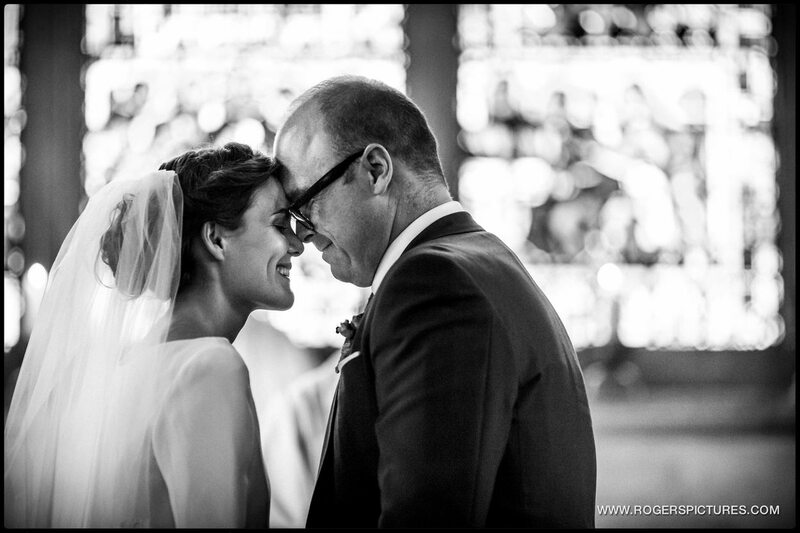 Would You Like This Style Of Photography At Your St Etheldreda’s Church Wedding? I stayed until after the First Dance, capturing the speeches and some of the party as it got going. If you’re thinking about St Eltheldreda’s or Hawksmoor as a wedding venue, have a look at my portfolio, then get in touch to see if I’m still available on your date.